1 (a) Design an elevated water tank at size 8m × 6m in plan and 3.5 m in height. Height of staging is 12.0m and it consists of four columns. Use is code method for design. Adopt M20 and Fe415 use WSM. 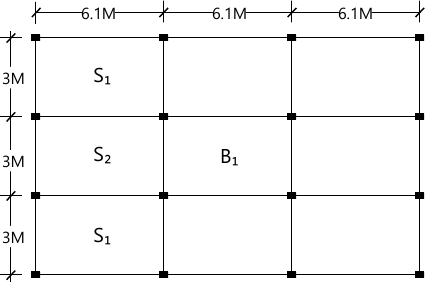 c) Draw arrangement for beams for base slab. d) Explain how tie beams for staging are designed. 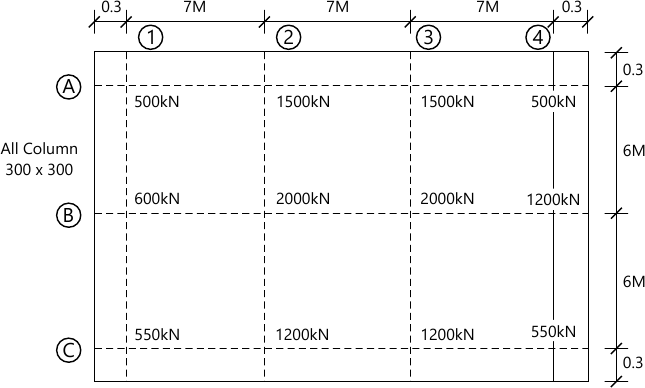 1 (b) The floor system shown below is subjected to service live load 3kN/m2 and floor load 1 kN/m2. External beams are supporting 230 mm thick wall at height 3.6 m. Adopt M20 and Fe415 Use LSM. 2 For a Cantilever retaining wall at height 4 m above G.L. is subjected to plan back fill with following data.